In the past few months, NPQ has frequently discussed the issue of tainted donors, and how nonprofits should determine who is allowed to ally themselves to an organization’s mission through financial support. Harvard University’s John F. Kennedy School of Government faces just such a quandary, as some students and faculty have voiced concern over the large amounts of money the Koch Foundation has donated to the school. 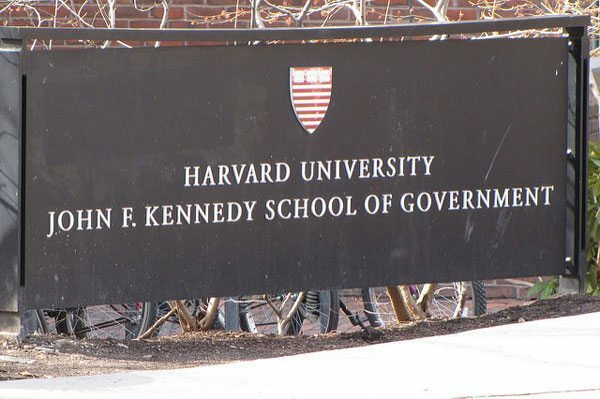 According to the Harvard Crimson, “Charles Koch has made several millions-dollar donations to the Harvard Kennedy School in recent years.” The dean claims that the donation does not affect the school’s decisions, but the Kochs have made a habit of spending large amounts of money in higher education to promote the teaching of their libertarian ideology all over the country; is Harvard very different? The Kochs are a polarizing force at Harvard and elsewhere. ThinkProgress has described their agenda as “anti-renewable energy, pro-fossil fuel,” and the Salt Lake Tribune described it as “anti-tax, anti-regulation.” The Atlantic described them as “libertarian.” They have spent millions of dollars promoting policy and politicians in line with their views, and have promised to spend even more in 2018. A foundation backed by the libertarian billionaire Charles Koch gave away $77 million in 2016, primarily to hundreds of colleges and universities, according to its latest tax filing. That marks a dollar increase of 75 percent from the previous year, when it gave away $44 million. The foundation is on pace to donate $120 million this year, again mainly to institutions of higher education. The Charles Koch Foundation website lists hundreds of academic institutions receiving support. The Kennedy School is determined to maintain its independence. Professor Stephen Walt, the co-director of the “The Project on Grand Strategy, Security, and Statecraft,” said the grant given by the Koch Foundation would not impact their fellowship program’s admissions decisions. Dean Douglas Elmendorf said, “Universities are, at their core, places to develop and transmit knowledge and that knowledge can be unpleasant or inconvenient.” Elmendorf, who served as the Director of the Congressional Budget Office under President Barack Obama, was ousted in 2015 and replaced by Keith Hall, who opposes both government aid programs and a higher minimum wage, much like the Kochs.